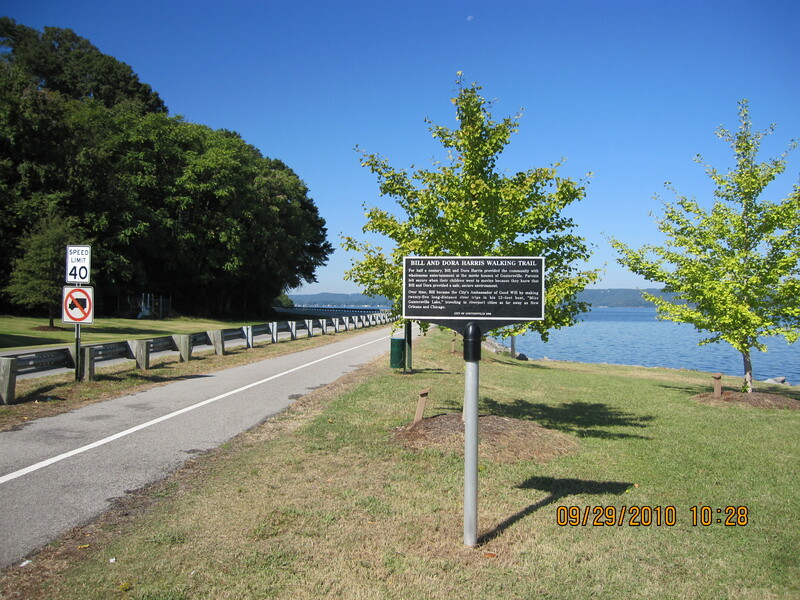 The Guntersville Sunset Drive Trail combines old southern charm and spectacular views of Lake Guntersville on the Tennessee River. From the east/west: State Highway 69 crosses the trail at Sunset Drive. Trailhead facilities and parking can be found by taking either a left or right turn onto Sunset Drive. 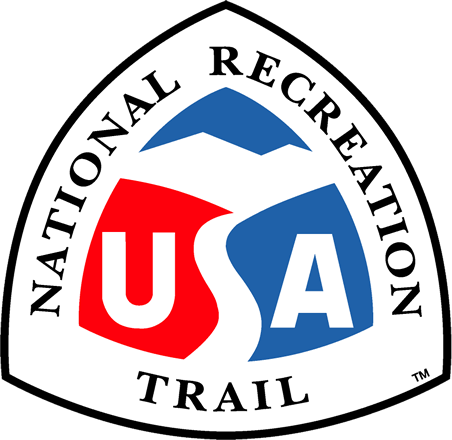 From the north/south: Where U S Highway 431 intersects State Highway 69, take State Highway 69 west until you approach Sunset Drive; trailhead facilities can be found by taking either a left or right turn. The paved recreational trail runs along the town's well-preserved historic homes and ends with spectacular views of beautiful Lake Guntersville on the Tennessee River. The Sunset Drive Trail's total distance is 3.66 miles with a round trip distance of 7.32 miles. The Tennessee Valley Authority (TVA) began construction of Guntersville Dam on December 4, 1935, and completed it on January 24, 1939. As the reservoir filled with water, it surrounded Guntersville, leaving the city sitting on a peninsula. 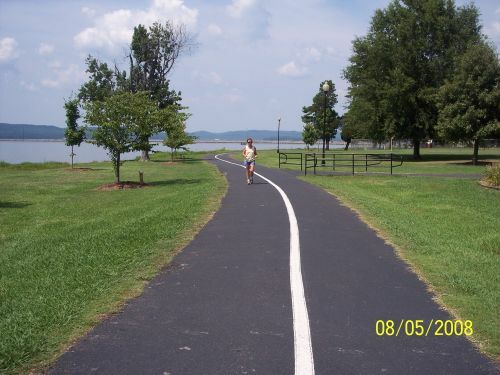 The City of Guntersville has enhanced the shoreline with public walking and biking trails. The city's recreational facilities along the lake include a fishing pier, band shelter, recreation center and swimming pool, senior center, many outdoor sports facilities, and playground and picnic areas, totaling 175 acres of public park land. The Horticulture department, located at the Recreation Center, was established in 2001 by the City of Guntersville under the supervision of Wendy Walker. This department is responsible for landscape designs along the trail. The Guntersville Tree Commission works in close contact with the Horticulturist and her staff on various projects, including the Sunset Drive Trail; Project Knowledge, which is the tree project along the walking trail on Sunset Drive; and The Memorial Tree Project which places a tree in honor or in memory of someone on city property, many of which can be seen along the Sunset Drive Trail. The Sunset Drive Trail combines fun, nature, and exercise within view of vast Lake Guntersville on the Tennessee River! Bill and Dora Harris Walking Trail. Photo by Rob Grant.